What if you could buy a $100,000 property for $15,000? If someone told you about a $50,000 piece of real estate that you could purchase free and clear for five thousand bucks – you'd be all over it, wouldn't you?? Suppose you knew exactly where to find an endless supply of these deals, how to buy them quickly, for pennies on the dollar AND repeat the process over and over again… can you even fathom that kind of buying power?? What could this do for your business? How quickly could you SKYROCKET your personal wealth with this kind of information? With access to such a vast supply of free real estate equity – it probably wouldn't take long to build up a MASSIVE (and debt free) real estate portfolio, would it? The truth is – there is an endless supply of these opportunities… and they are all over the place. Most people will never know about them, because they have no idea where to seek them out – but in the next few minutes, I'd like to help you connect-the-dots and open your eyes to a new world of opportunity. When I first got into real estate investing, I had no idea that there were HUNDREDS of these opportunities all around me. Like most people, I just assumed the only properties I could buy were the ones with a “FOR SALE” sign in the front yard. The reality is – most of the best real estate deals on earth go completely unnoticed by the general public. Only a small handful of people even know where to look for these opportunities, and the rest of the world is largely oblivious to the goldmine sitting right beneath their feet. I got lucky. Soon after I started investing in real estate, I learned about one of the most valuable resources of all time (and no, I'm not exaggerating). It's called the “Delinquent Tax List” and it was ESSENTIAL to my early success as a real estate investor. This was where I found my unfair advantage – and if I hadn't had access to this kind of information, I probably wouldn't have made it very far – that's the honest truth. As you probably know, every property owner in the United States is obligated to pay annual property taxes for the real estate they own. These taxes are paid to the city, the township or county in which they reside. When they purchased the property. How much they paid for the property. How much each owner owes in taxes. 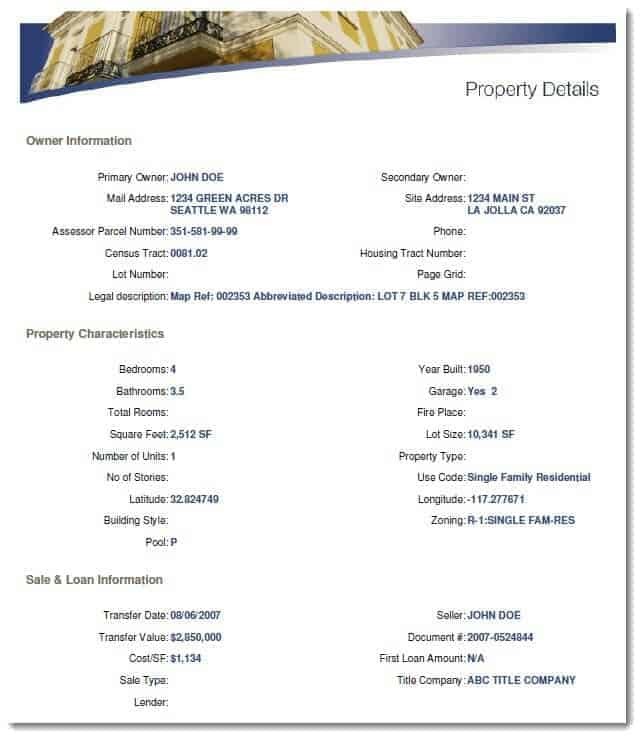 All of this information is public record, which means you find this data on any property in the United States if you just know where to look. So what happens when a property owner fails to pay their taxes? Every county has a Treasurer (also known as a Tax Collector in some states) who is responsible for collecting and tracking the payment of these property taxes. When people don't pay their taxes, the Treasurer's Office will create a running list of who still owes them money (this is the same list they use to mail out their delinquent tax notices). Though it can go by different names in different counties – they're all referring to the same thing. When a property owner fails to pay their taxes, their name will be added to this list. Once they're on this list, the county will wait anywhere from 1 – 5 years (depending on the state) and when enough time has passed, the county will come in and take these properties from their respective owners via tax foreclosure. Regardless of how much money an owner may have invested in their property – if they don't pay their taxes, they will lose the entire property – forever. Now keep in mind – if the property owner wants their name to be erased from this list, they can do it at any time by simply paying off their property taxes (and all the late fees they've incurred along the way). As long as they pay off these taxes PRIOR TO the county's drop-dead date, they will maintain full ownership of their property. This list is kept up-to-date every day with the delinquent (or non-delinquent) status of each property owner. It's a set of information that is constantly changing, with new names being added and old names being removed as people pay (or don't pay) their property taxes. For those property owners who do ultimately lose their property to tax foreclosure, the county will hold an annual “Tax Deed Sale” or “Tax Lien Sale” (depending on the state). Essentially, they will hold an auction and sell off all of these properties to the highest bidder (and their only real goal for each property sale is to generate enough revenue to pay off the back due taxes they were owed – even if it's just a few hundred bucks). The properties being auctioned off at the tax sale are NOT the ones we’re interested in. Why? Because by the time a property has been foreclosed on and put it up for auction – it’s too late. At many of these property auctions, the typical investor (aka – you) will have to bid against dozens of other hungry buyers and deal with some serious competition, which can be a recipe for disaster. In many cases, these auctions can spiral out of control, with bidding wars that push the price of any good property far beyond its actual market value… and if you're someone who needs to find a good deal, this is a problem. Now – is it possible to get good deals at a tax sale? Yes. Are you likely to find a lot of good deals at a tax sale? In my limited experience – No. When you have to fight against dozens of competitors, you don't have an unfair advantage and you're not in a position of power. I've learned the hard way that when you're not able to call all the shots and play the game by your rules – there is a much higher likelihood that you'll walk away empty-handed and/or make some really stupid decisions. For a number of reasons – I've found that the tax sale model just doesn't work. What's So Special About This List? 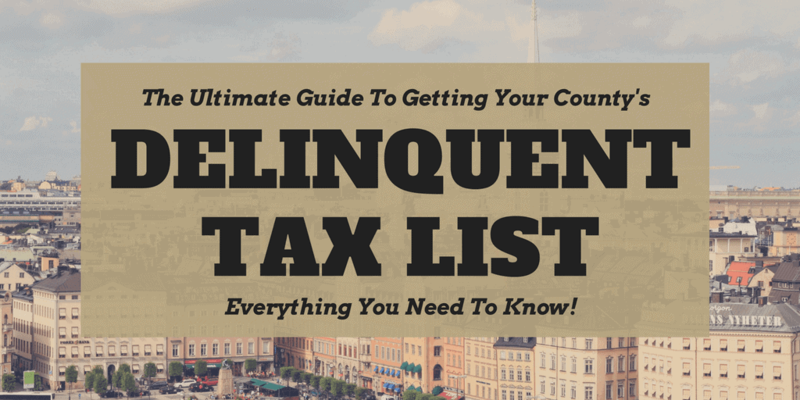 When we're talking about a “Delinquent Tax List”, it's important to distinguish what this list is and what it isn't. This is the county's digital record of all the property owners who owe back due taxes, but their properties haven’t been seized by the county yet. These properties are still privately owned by their respective owners, but these people are just months (or even weeks) away from losing their property outright if they don't act soon. Since the county hasn't yet seized these properties – they haven't published this information for the general public to see. Why is this an important distinction? Because nobody else knows about these opportunities yet. There are a lot of people on this list who are more-than-willing to sell their property at a steep discount – but they aren't going to advertise their desperation. Instead, they need someone like YOU to seek them out and make the process idiot-proof for them. When you have this list, you're holding some very lucrative information because you know who needs help, and you can get to them before anyone else does. Let's say that one of these properties is a parcel of land worth $10,000 and the owner can't afford to pay their taxes. This person is a few months away from losing 100% of that $10,000 value if they don't pay off their taxes. If they do nothing, it will literally be taken from them and they will get $0 in return. Make sure they're aware of their “situation”. Let them know that you're an investor and you're interested in buying real estate in their area. Sell their property (i.e. – Get rid of a nasty financial burden) AND get some fast cash in return (i.e. – Trade in their troubles for some immediate help). Unlike any other list – the delinquent tax list is highly concentrated with motivated sellers. You can send these people some insanely low offers and you'll find that a good portion of them will actually sell their properties for 5% – 25% of market value… it may sound crazy – but they do it because they have no other choice! It's also worth noting that these people usually have a very different perspective than most people do about their property. The property was a bad investment and they're tired of paying for it. They want this property out of their life. They bought the property 20+ years ago and haven't seen it since then. They've completely lost interest. They inherited the property and they never wanted it in the first place. They don't care how much they get, all they know is that they don't want it. They're tired of paying taxes on a property they never use and they're too lazy to sell it the conventional way. The property has turned into a financial disaster and they want it out of their life. They have terrible memories associated with the property and they want to wash their hands of it. Think about it… why else would someone knowingly allow their property to go into foreclosure like this?? To most of us, it makes absolutely no sense UNLESS you look at it from one of these perspectives above. By now, I hope you're starting to see just how valuable this list can be. Trust me – this list is a big deal. Can you think of a county that you'd like to get this list from? In most cases, you can probably get it – but there are a few things you should keep in mind before you try. 1. Good information isn't free. Always expect the list to cost something. Most county Treasurers (aka – Tax Collectors) are probably going to charge you something to generate this list and send it to you. Some counties will charge A LOT and other counties will charge you a nominal amount (and if you're really lucky, some counties might even give it to you for free). The least I've ever seen a county charge for their list was 1 cent per parcel (or a flat rate of $100). This kind of price is awesome and a great value (I would gladly pay this price without thinking twice). The most I've ever seen a county charge for their list is $1.50 per parcel. This kind of price is ludicrous (this list could easily cost into the thousands of dollars – which is crazy). 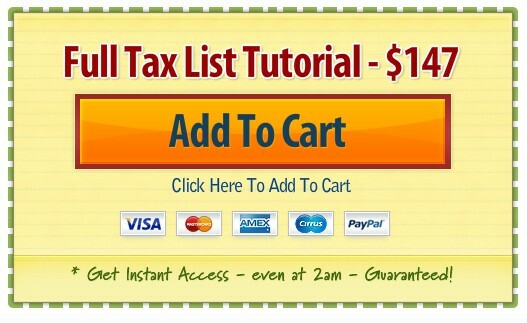 NEVER cough up this much cash for a delinquent tax list… it doesn't have to be this expensive. The cost of the full list from most counties will fall somewhere in between $100 – $500. The most common pricing I see is 25 cents per parcel and at this rate, some lists can get pricey, but in most cases, it's still worth the price. As a general rule of thumb, I try not to pay more than $500 for any single list. Not because it isn't worth the price – but because this is the line I've drawn for myself (to keep from getting carried away and putting all my eggs in one basket). All said, most of the lists I've bought have been somewhere in the $100 – $300 range. Most counties will ask you to mail a check to their office along with a “letter of instruction” (explaining what you want them to do) or pay over the phone via credit card. In either case, you will need to explain very thoroughly that you want them to email the delinquent tax list to your specified email address OR mail the list to you on a CD (or something similar). The process may differ slightly depending on what county you’re working, but you can refer to the Treasurer / Tax Collector for specific instructions. I don't usually like to keep things “exclusive” on this blog, but the subject matter in this article is highly sensitive information and frankly, I don't want “everybody and their mother” to have access to it. The Delinquent Tax List is an extremely effective tool when it's used correctly (I've literally never had a poor response rate when using a Delinquent Tax List). I'll admit – it can involve an extra “hassle” factor (because these lists can be fairly expensive and take more time to sort) but in my experience, it has ALWAYS been worth this extra bit of trouble. a. They aren't aware that this list exists. b. They don’t understand why this list is important. c. They don’t believe the list will actually yield any results (most likely because they've never tried it). When you're marketing to a list like this, you don't run into competitors. This means that when you find an amazing deal – you're the only person on earth who knows about it (which makes this approach very lucrative and powerful). Because of the “Top Secret” nature of this information, I've decided to limit access to this full blog post to those who are willing to “pay the toll” so to speak (which I suspect, will turn away a lot of readers who would only serve to saturate the market and water-down the opportunity for those who are trying to take it seriously). How to get the list. How to find the right people at the county. How to ask for the list and get what you need. How to make sure the right information is included in the list. Recorded audio clips with real-life examples of how to request a delinquent tax list. How to deal with lists that are difficult to organize. How to communicate with property owners on the list. BONUS: Free tutorial on how to sort a list with Microsoft Excel. BONUS: Free tutorial on how to send your first campaign with Click2Mail. BONUS: Free “Letter of Instruction” template to request your first delinquent tax list in writing. Note: When you sign up as a REtipster Email Subscriber, I’ll send you an instant $20 off “Discount Code” for this item, and if you enroll in the REtipster Club, you'll get access to this item for FREE. There's no pressure of course – just want to make sure you're aware. 5 Well-Known Real Estate Lead Generation Services - Which One is the Best? Thanks for the post! Wow- 28 counties seems like a lot to keep track of. I have dabbled in about 10 and none of them can get me that required information as of yet. That call you have seems vaguely framiliar! I have a followup question about your post. You said you do direct mail. Does that mean you are sending offers out to your list, or that you are sending a mail piece out and then making offers to those who respond? I’ve heard it can be done both ways but wondering what your experience is with it if you would not mind sharing? Hi Greg – I’m doing the latter (sending offers out to those who respond). This allows me to send out much better offers with real, educated numbers (even if they are very low). I don’t know if either approach is “right” or “wrong” – but there are definitely some pros and cons to each. WHAT If I’m just finding them on my own and not having to pay anyone for the info. I have a list of homes now that the tax’s have not been paid for almost 3 years. I’m just not sure what i can do with the can it just be as simple as going to the courthouse and paying the 2015, 2016, 2017 tax’s. I’m a single mother of 4 I work at a a property management office.I do not have my realtor is licensed I’m a receptionist. I really believe this is a calling for me and my children to be better off I just fine it very heard to fine some one to lead me in the right direction. Try taxsalelists.com to get unlimited access to nationwide tax lien and tax deed property lists and nationwide tax sale calendar. I was wondering when you get a response do they call you first and then you tell them that you will get back to them to make an offer.. Why not go st8 forward with the offer ? Also on your postcard template is it the same exact postcard you send out to your list? Do you send letters or post card? Which has more success rate? Please answer if you have the time…! Why would anyone sell their property for pennies on the dollar ? That makes no sense. If there was a market on this, Hedge funds would be all over it..
a. Aren’t aware of this list’s existence. b. Don’t understand why this list is important. c. Don’t believe the list is going to yield any results. Thanks for your response Seth. However, could you please be more detailed as to WHY anyone in the world would sell a $500,000 house for $100,000 or less.? I’m from NYC, and I just can’t imagine anyone doing that. In this economy bordering depression, why would anyone take a hit like that out of ‘laziness’?? It doesn’t make sense. Your skepticism is understandable, because most people are operating under the notion that ALL sellers are reasonable, but trust me – plenty of them aren’t… you just have to know where to find them (and then believe that it’s possible in the first place). Check out this post, I think it might help you connect the dots a bit more. Mike, what Seth won’t tell you is that you can get these lists from banks. Smaller not statewide banks are the best. To get to the point without taking lots of time is the government only allows the banks to have a certain # of foreclosed properties, so if they have too many the bank could actually have to close their doors. So that is how these properties exist. The banks may have met their quota and can’t go forward on the foreclosure but the owner still does not pay the taxes. The tax deliquency would come first over the mortgage and when these are bought then the owner loses their home. The bank then loses the mortgage and then frees up the amount of their quota of homes that are not current on their mortgage. Hope that answered your question. Hi Samantha, I’ve read your comment a few times now and I’m still not entirely clear on what you’re saying. Are you saying that banks have a running list (which is updated every day) of ALL the properties that are delinquent on their taxes, in EVERY county in which they have mortgaged properties? Or do these banks just have a list of their mortgaged properties (in which case, it would be very different from the county’s delinquent tax list). I’ve never heard of this before… maybe you could explain more about how this works? Most banks sell their Adjustable rate mortgages after 6 mos. of payment. What they dont tell you, is once they sell it to a collection agency, you owe the bank nothing. Then the collection agency gets your monthly payment when you think youre paying the bank. Its just a scam. The homeowner didnt sign a contract with the collection agency, and therefore is not obligated to pay them. When your house goes into foreclosure, A team of the bank’s attorneys show up as witnesses for the collection agency, but they are not the plaintiffs. By then the homeowner is thrown for a loop and confused, and by the time he figures out what is going on , he’s unprepared for a defense and the gavel is struck. Its over. If he already know this, he could have caught them off guard and sued the collection agency for undue harassment and threats, and the bank for its craftiness and guile, but most people are intimidated when they see a group of attorneys and nobody goes up against them. What if I wanted just one State? I’m not sure I understand what you mean. Can you clarify? I first heard you on the BiggerPockets podcast, great work. I had heard of the tax delinquent auctions but didn’t know how to get the list ahead of time. Thank you so much for helping me with this. If you wouldn’t mind helping a little more I’d greatly appreciate it. Do you use agentpro247 as your initial search and then call counties after that for their records to get an up to date list or do you only use agentpro247 now? Do you have a seperate phone line for people to call or do you give out your personal line? Why don’t you ask them to email first? I know you have no problem talking to someone on the phone about the situation at hand but they may not have the same personal skills as you. They may feel intimidated calling. Hopefully this makes sense. Hi Ben, thanks for stopping by the blog! I’m glad you liked to podcast too. Honestly – if you’re serious about getting a good response rate on your mailings, I would start with a list from the county. Lists from AgentPro247 can work, but because of the “hit or miss” nature of their data, it’s usually more problematic than it first appears on the surface. Yes, I have a separate 888 number that I advertise to the recipients of my direct mail postcards and on my buying website. It’s a good way to keep this kind of communication segregated as it should be. I do give people the option of submitting their property information on my buying website (which I think, is even better than email). It’s a great way to collect all of their information without wasting any of my time on the phone with them (and like you said, it’s usually less intimidating for them in the first place). I think that your information is great for new investors. You helped me to actually do the work. You must be some kind of a foreclosure specialist. My goal is to work with foreclosures. Hi Barbara – thanks so much! I wouldn’t necessarily call myself a “foreclosure specialist”, but I’m glad you’ve been able to find some good applications for this stuff (as it does apply to a number of different real estate niches). Did you ever use Tax sale lists.com? Instead of calling the County for a list maybe I can use this, what do you think? Hi Luis – those lists are different than the Delinquent Tax List I’m referring to above. Those are the properties that have already been foreclosed on and they’re headed to the tax auction. The Delinquent Tax List is the list of properties that are currently delinquent, but they haven’t yet been foreclosed on (they’re still owned by their respective owners). Does that make sense? These lists are two very different things. I’ve looked at a few Tax Sale Lists in Missouri and it doesn’t look like these lots have been foreclosed on yet. County records and other resources like Netr or Title365 still show the individuals (or llc’s) as the property owners. Is it possible that these are just properties where auction is imminent if the buyer doesn’t immediately solve the issue? From the sounds of it, I would say that’s a pretty reasonable assessment. One way to verify is to check with the county and see what (if anything) these properties are owing in back due taxes. Instead of calling the County for a list can I just use AgentPro? Hi Luis – you can, but you’ll also run the risk of working with older information (which, depending on the situation, could hurt the results of your direct mail campaign). Getting lists from the county is almost always a pain – but it’s also almost always worth the extra trouble. How do I get a list of properties/owners that have ALREADY been through the auction? In other words, the list that shows all the tax sale OVERAGES? Hi Jamshid – I’d probably start with your county treasurer and go from there. I’ve got a separate blog post on the subject here, which you might find helpful. My wife and I are newbie investors and we have been trying to get this list and like u said, the counties and either been giving us the run around or have no idea what we’re talking about. I am definitely signing up because I know the true value of this list. I understand the dilemma Troy, I think you’ll find the full blog post quite helpful. I sure like you approach. Am interested in the $97 package. It looks really good. Couple of Qs. 1. I am thinking of combining info from the delinquent tax rolls with 60 and 90, day Pre NODs. Do you address that subject in your $97 package? 2. Are samples of the mailer postcard and the offer letter included? I’m ready to go, awaiting your reply. Hi Steve, thanks for the questions, but I’m not sure I understand what you mean by “Pre NODs” – what exactly are you referring to there? And no – the postcard templates are not included with this package. If you’re looking for some free examples of what you can write on yours, feel free to reference what’s already posted for free in this blog post. Thanks for the great info. I’d like to buy the rest of the tutorial. Please send the discount link. Thanks again. Hi Franklin, thanks for checking out the blog post. I just emailed the discount code to you. Thanks! I love the fact nobody really knows about this. Honestly. It is what it is. Taxes to be paid is a must. Ok here is an example in a different format. We as American citizens half to pay taxes. Remember the guy on an unamed TV show he won 1,000,000 he didn’t pay his taxes you don’t pay you can go to jail and the IRS will be all over you. Outcome jail right, right. Ok so you have to pay taxes. You bought a home you get behind on your taxes, even if you own your home free and clear. YOU STILL HAVE PROPERTY TAXES. So you fail to pay you are probably sitting there thinking it’s maybe the IRS you are worried about coming after you for taxes this is where you are WRONG. So your house will go into a Tax Foreclosure you don’t pay the taxes and penalties other fees by the time period. YOU LOOSE YOUR HOUSE FOREVER NO WAY AROUND IT UNLESS YOU PAY YOUR TAXES. So another words in the article above explains this well. Kudos btw. So you obtain the list that will be at the AUCTION it will GO INTO AUCTION NO QUESTION. UNLESS YOU PAY UP. SO you obtain the “List” ok they are already in Tax foreclosure or is about to be. So the owners have 2 options 1. To pay there’s taxes & penalties up front they don’t have it which they don’t have a choice in the matter. So your there at there home having “a meeting about this” ok so they just can’t pay foreclosure is on its way, no way around it. I repeat this again and again unless you pay your not getting out of a Tax Foreclosure once it’s Tax foreclosed on you will loose it FOREVER NO WAY AROUND IT FOREVER. So I’m here you even OWN your home you are facing this condition you paid 500,000 like the guy posted in his blog you have to pay up $10,000 now ok I am an investor I came to either collect for the taxes or offer to pay for there taxes and offer them say 30,000 extra on there house so they get there taxes paid and they get 30,000 in there pocket to go find another home or do whatever they please. Ok sounds crazy but it’s true. They can take the either take my offer and there taxes get paid and they get 30,000 I will then OWN that $500,000 house or the can choose option 2 don’t take my offer get foreclosed on still owe taxes and zero money in there pocket. You only have 2 choices unless you pay your taxes. Hope this helped anyone understand alil better. BUT YOU HAVE TO DO YOUR DUE DILLIGENCE and RESEARCH. Why can’t they just put it on the market real quick for $400,000? It’s not that they can’t go through the normal process and make a lot more money from the sale (because they absolutely can), it’s that – for one reason or another – they simply won’t do it. Sometimes it’s because they’re apathetic, exhausted, confused by the process, or they have some emotional baggage standing in their way (among many other possibilities), there are a TON of people who simply won’t take the action necessary to make it happen (but a savvy real estate investor will). If you can find these people and give them an “easy button”, you will have no shortage of opportunity. This blog post explains some of the psychology behind these motivated sellers you’ll encounter. Thanks for stopping by the blog Safiyya! I just saw your message on BP. I’ll respond to you shortly. Interested in joining the club! Hi Michael, that’s great! All you need to do is sign up in the opt-in box above (see the bottom of this blog post) or in the right sidebar (near the top of this page). If you need me to sign you up manually, just let me know and I’d be happy to. Thanks for your interest! Thanks a lot for the great information. I would also be interested in finishing the blog with the code. Again, I appreciate all your help! Hi Bradley, thanks! Glad you enjoyed it. Have you signed up for the REtipster Club (see the opt-in box above). All you need to do is sign up and you’ll get the discount code. If you’ve already signed up and you just can’t find the code, shoot me and email and I’ll send it to you again. Great post, highly recommend the purchasing the full blog post to all readers. I just got a list from a county, but I’m not sure how to identify a property as vacant land. Do you have any tips on this? Also, do you send yellow letters to all properties on your list from the county or are you trying to filter and just send letters to vacant land holders? Thanks Tom, I’m glad you liked it! 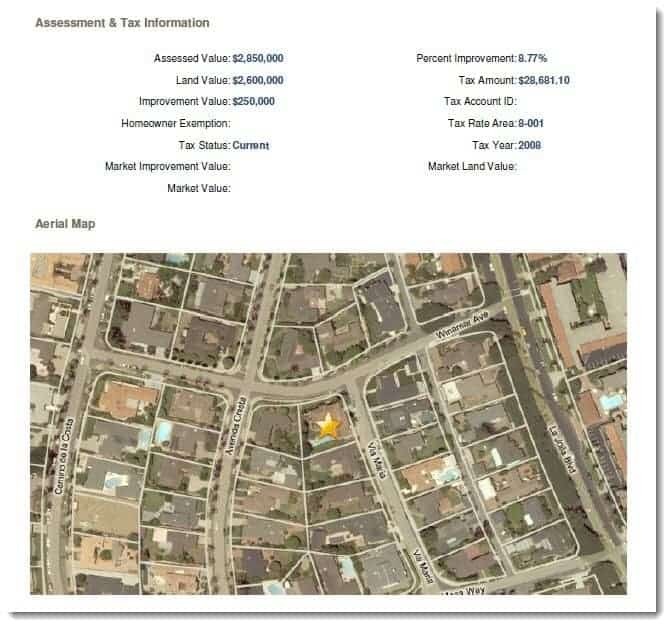 Your ability to identify which properties are vacant land all depends on how much information was included in the list. Sometimes this info will be indicated on the list (note: and it isn’t always obvious when the information is there) and sometimes it won’t be. When the info isn’t there, I usually start by eliminating all the properties that are owner occupied (if they haven’t already been excluded from your list in the first place). It’s also worth noting that by default, MANY of the properties on this list will be vacant land properties. Why? Because most mortgage companies require that residential homes be set up with escrow accounts to pay the owner’s property taxes (i.e. – most houses will never end up on a delinquent tax list, because the taxes won’t be allowed to get past due in the first place – the lender won’t allow it). If you can narrow the list down in every other way, you may be surprised that the vast majority of your responses will be from owners of vacant land. Do you need an attorney’s expertise when purchasing from a delinquent owner? If so what steps should be taken in order to make sure you are protected. Or perhaps I should contact a real estate attorney and ask him/ her. Hi BB – if you want to be sure you’re protected in any real estate transaction (to the point of having insurance to fall back on), it’s usually a best practice to close with a title company or real estate attorney. That being said – I’ve closed a lot of deals by myself, simply because I took the time to understand all the specifics of how the closing process works in my area (as well as what to watch out for along the way). Most people don’t have this kind of expertise (because the average person doesn’t close real estate deals every day), but if you took the time to learn how the process works (and if you’re willing to deal with any potential mistakes on your own), you could do the same thing. Do you have any advice for someone who is looking to get a good deal on a primary home for themselves ? Seth – The tutorial you’re offering is intriguing, but makes the assumption your going to get every property owner who is delinquent on their taxes. Obviously, once you obtain the list, there will be some scrubbing involved before you actually start at the top of the list and send a postcard to everyone on the list. Is there another blog post that outlines, what to look for once the list is obtained? The video in this post is sorting through a list that was downloaded from AgentPro247, but the same basic principles apply. The lists that come from county offices can & will look a bit different (sometimes a bit more confusing) than what I’m showing here… but in terms of what to delete from your list, you’ll want to follow the same process of elimination. Please send me the discount code so that I can download the rest of your blog post on how to obtain delinquent county tax lists. Hi Pamela, have you signed up for our email list yet? If so, the discount code should have been included in the initial “Welcome” email. If you have and you just can’t find it, let me know and I’ll email it to you again. Thanks! This definitely brings back memories. When I was doing all kinds of things in real estate investing (not as focused), this was one of the areas I targeted. And, yes – it takes forever just to get the list! I must have stopped by the county office a million times just to find the right person to talk with. When I finally received access to the list, I was exhausted and moved on to other areas of real estate investing. Though, I did hope to come back to this niche again one day. I know the feeling mobilehomegurl (and I love your blog by the way, it was one of the first ones I ever stumbled across when I first got into blogging back in 2012)! Some counties are terrible to work with, and make the process VERY difficult. I think the key is to know when it’s officially “not worth it” and simply move on. The truth is – there is a ton of opportunity out there, and if one of the 3,300 counties in the U.S. is making the process harder than it needs to be, that doesn’t mean an investor can’t still find success elsewhere. This was a hard thing for me to accept in the beginning, but as soon as I did, that was when I started finding the right lists I was looking for. I am a fellow Grand Rapidian and had a question regarding the AgentPro247 site you mentioned. The 20/month plan gives you 2000 records per month, but doesn’t include the amount of back taxes. I think I heard on the biggerpockets podcast that this is one of your sources for getting your lists. If so, how do get information regarding back tax amount? thanks, your website is very helpful! With AgentPro247, it all depends on which county you’re pulling the list from (because some counties will make the delinquent tax information available, and others won’t). In terms of which plan to use, I would recommend either the “Bronze” package, or the “Profile Package”. The only difference is that one is tailored towards list-pulling (allowing up to 2,000 leads per month) and the other is more geared towards property research (allowing up to 1,000 leads per month, plus 50 profile reports). It’s definitely true that you have to find the right person to talk to. I called my county treasurers office, and asked if they could make a list for me and was just told “NO.” Is there another office or person who could help me “Dont’ know.” they had no interest in trying to help me out. ok bye. I called the county auditor, and it was a completely different story. All I had to do was send the lady an email so she could send me a temporary username and password to a hidden website where I could download all in the information I wanted, to my hearts content, for FREE. I was expecting to have to pay, so it was a very good day. Whoa, dude – Brian, that’s a REALLY good example – thanks so much for sharing your experience! There are so many people who give up before they’ve thoroughly explored their options. I’m really glad you were able to get to the bottom of this issue in your county of choice. Keep up the good work! Brian, you have had this list for over a year now. How is it going? How many properties are you involved with through this list? I am new to this and I am very intrigued. Hey Brian! Can you go more in depth with how you got it his way please? Thanks! Hey Maurice! I just sent it to you. Enjoy! Thanks for the article Seth. I was wondering if you had any advise on tracking down this ‘delinquent tax list’ in the United Kingdom. As pointed out in the post, it will most likely be called something else, not sure how to go about tracking it down. Hi Baresi, thanks for the question! I wish I could be of more help in this area, but I honestly have no idea how the property tax system works in the UK (seriously – I am 100% clueless in this area)… but don’t let that stop you. Feel free to call the local taxing authority in your area and ask them what happens when people don’t pay their property taxes. Ask if they have a list they can share with you (even if you have to pay for it). With a little bit of research, a few emails and phone calls, I’ll bet you can probably learn a lot about how things work on your side of the pond. Sorry I can’t be of more direct assistance here. Good luck! Just joined buddy, could you please send the discount link for the package? Thanks in advance, and great blog! Thanks Arnell – you should have it in your inbox! Thanks! Having a good bit of trouble finding that list in Madison County, AL. I’ve talked to 7 people alll saying the same thing, which is basically that they don’t have that sort of list. Contact the alabama department of revenue, and that seemed like a dead end as well. Any thoughts? Seth – Thanks for providing this great information. I’ve had great luck downloading delinquent tax lists for free from some surrounding counties, which is fantastic. I’m a data analyst by day, so these unruly csv and excel files don’t scare me. The lists are actually lists of the properties, and who owns the tax certs. I have found that these lists do not include date of purchase and how much they paid. Have you found that you need to search elsewhere for this data? It would be nice to know how long someone has owned the property, and how much they have into it. Tips on where to find this additional information? Hi Carl! Personally, I haven’t found the date purchased to be terribly important, but the amount paid can certainly help, as it can act as a “peg” for how low the seller is willing to go – but it just depends on the situation. I’ve found that many times, you can find the amount paid by looking on a site like AgentPro247.com (subscription required) or even by doing some research on the county website. I usually don’t even go down this road until I’ve got someone who has said “Yes, send me an offer!” – but when it gets to this point, it can be helpful information to have. Thanks Seth. When you use county data, is there a quick trick for identifying parcels with no residences? Besides value of the land, i haven’t found any clues (maybe it’s just the county datasets in FL). I’d like to target primarily land at first, but it looks like I may get some built on properties as well in my cleaned lists. Thanks again for the blog and the responses. Jeff – What do you mean by “which ones haven’t been bought yet?” what does “ones” refer to? Do you mean another investor (such as yourself) hasn’t purchased the property? If you mean that, then you’ll know because the investor has likely paid off the tax liens and brought it current. The info you can download from the property appraisers’ websites in many FL counties is current as of the moment you download it (well, that may be a slight stretch). Hope that helps, but if I haven’t addressed your question, please clarify and I’ll do what I can to help. Hi Chrissy, when this kind of thing happens, it basically means that whatever has been built on the property (whether it’s substantial or not) will automatically get transferred with the land to whoever becomes the new owner. In some cases, it’s just an added bonus for the new buyer, because the building is just being forfeited along with all of the work they did on the property. It’s kind of crazy, but it does happen from time to time. Seth, we have a couple of real estate agents at our company that buy, rehab and sell homes – full time. I don’t think any of them are using the Delinquent Tax List that you suggest as a source for potential purchases. Thanks Mike – I think it makes a lot of sense too. 🙂 I’ve tried the auction thing too and had a similar experience, the competition really killed my chances of getting anything good (which may have been partially because I was trying to find deals in a highly competitive county… but still – it didn’t need to be that hard). The delinquent tax list (pre-foreclosure) is definitely the way to go in my experience. This is a wonderful post with loads of information. I am definitely going to buy the package! My question is: how would I know that there is no liens against the property? Good Day Seth. I’m so glad I found your post. I’ve been wanting to get into R.E. investing with this type of approach…finding homeowners with delinquent taxes….offering to take the house off their hands for a few dollars. on my county’s website, they offer this list from free. my question to you is; after finding delinquent properties, what next? I obviously know that contacting the homeowner would be the next step. But after that….when would I do the title search? what’s the formula for figuring out an offer? etc…etc…is there any info that would be able to walk a person step by step through complete transaction/deal? Hi Bobby – good question! I’ve actually laid all of this out in the 12 week course over in the REtipster Club, but if you need some quick answers – you might want to check out this blog post and this blog post. Again, there’s a lot more detail in the actual course, but these should at least get you started. Do you have to pay the taxes on a property if the owner is on the delinquent list? Hi Mike, I wouldn’t say you have to – but in almost all cases, you should plan to cover this as part of your total investment into the property. Also keep in mind, if they’re transferring the property to you with a Warranty Deed, the county will most likely require you to pay these off before they’ll record it – so it’s prudent to factor this cost into your overall investment. SoCal hit rates are low, but man, checked some tracts in Detroit, there’s like a 20 percent default rate! And hey, what’s w/ Oakland County, Mich charging 2 dollars per record. I think I’m just going to write some python scripts to do the heavy searching and mapping. Very cool tips here amigo! Hi Michael – thanks for the comment! If any county is charging THAT MUCH per parcel – I’d move on to the next one pretty quickly (no way the information is worth that much). And sorry for the spam issue – not sure why that’s happening, but I’ll see if I can figure it out. I’m trying to use agent247 to find tax delinquent properties here in NY. Every time I set the parameters I get a count of 0 and once I remove tax delinquent from the parameters I get a count of 5k. I understand you don’t work for them, but by any chance do you know why that might be the issue? Hi Qasiym – I actually get the same problem in my state. It’s probably happening because the particular county you’re working in doesn’t provide this data to AgentPro247 (so even though the filtering option is there, it won’t generate any results – because there’s nothing in the system). In other words, if you need tax delinquent data in this particular county, you’ll have to get it directly from the county treasurer. Hi Colin – every county is different, and it doesn’t have much to do with where they’re at geographically within the state (at least, not in my experience). The best way to find out who can do what is to just start calling, explaining what you want and seeing which ones can/will make the process easy for you. There’s no shortcut to this – just pick up the phone and start contacting counties. So, before I contact the owner of the raw land that has delinquent property taxes attached to his/her land, how do I find out if the property is legit, no strings attached? As in, no additional mortgages, not financed month to month in any capacity, etc. Know where I’m coming from? Hi Strelok – great question. To do that, you would either bring the signed purchase agreement to a title company (the safest, but also the slowest & most expensive way), or you could do your own title search (as I explain in this blog post). You might also find this blog post helpful, as it explains what to do after you have a signed purchase contract in hand. Hi Robert – I would say yes (I’ve done it before, so I’ve seen it work). However, my offers are usually around 10 – 30 cents on the dollar (not 1 – 5). The acceptances rates can definitely vary, depending on a lot of things… but if you were specifically targeting houses, I would say you’d probably find an opportunity or two if you sent out a few hundred mailers (assuming you got the right list and filtered it adequately). Again, you could get them with less, but the more you send out, the higher your chances will be. Hello Seth. I’m really learning a lot from your website. Thanks for maintaining it. I’m considering purchasing land using the Delinquent Tax List to reach out to would-be-sellers who defaulted paying taxes. But I’m not sure what was meant in your response to Robert Johnson above when you mentioned you offer around 10-30 cents on the dollar for properties you’re considering buying. Did you mean you offer 10-30% of 1) the present value of the property, 2) the amount owed in back taxes, or 3) the amount the current owner has invested so far in the property prior to defaulting? Hi Leary, good question. I’m offering 10% – 30% of the market value of the property (which I determine through the process explained in this blog post). Thanks. I’ll check out the blog. I went to my county and was told that ‘tax delinquent lists’ info is between the owner and the county, and any county seizures would be sold once annually, on Bid4Assets.com, the auction website. Have you ever heard of that? Anything else I could try.? It sounds like they’re misunderstanding what list you’re asking for (this is very common, btw). Just reiterate that you’re looking for the list of properties that are “currently delinquent on their property taxes, and still owned by their respective owners”, NOT the people who have already lost their property to tax forfeiture. Seth- this is great information. I’ve been sending out direct mail to home owners for the last 5 years, but mainly to the more ‘well known’ types of list- notice of default, divorce, bankruptcy- and am just now starting to contact counties to get delinquent tax lists and so far, so good. I’ve gotten 2 county lists so far. I’m excited to pursue this further, thanks. That’s awesome! Thanks for sharing your experience Jonathan! Great post. I bought the tutorial and it was worth it. Also, great website overall. Practical and to the point. Congrats! I thing I’m confused and not clear on something and wondering if you or someone in the forum can help clarify for me. I understand your point of making offers before they go into a tax foreclosure. Now, if I’m getting a list from a county with properties that have been through tax sale and do currently have a lien holder on them, we are past the tax foreclosure phase correct? Ideally we want properties that don;t have yet any liens on them. Am i understanding this correctly? Also, the same county is telling me that they have another list of properties that are currently county held and are available for an assignment, that is also past our sweet spot correct? Yes, you’re understanding this correctly. Often times, the people we talk to at the Tax Collector’s office will misunderstand our request, and think we’re asking for the POST-tax foreclosure list. This is the wrong thing. We’re looking for the PRE-tax foreclosure list (people who are delinquent, but haven’t lost their properties yet). Sometimes you’ll have to explain this again and again before they’ll understand – but be persistent and try your best to explain it clearly, and if you’re lucky, they’ll get it. It’s hard for most county employees to understand because this list is almost never requested, and they honestly don’t know how to do it… but stay on them (and be prepared to pay for it if needed) and you should eventually find a county that can give you what you need. I really like the idea but I’m wondering how many investors are out there using these same strategies for big markets such as Houston, Dallas, Phoenix. I am also curious what your experience is with using this strategy in different stages of the market? Does it preform as well in hot market areas as it would in markets with not so much competition? What market cycle seems to be a sweet spot for this strategy? Thanks and interested to see what you’ve encountered. Hi Lane – most of the time when I’ve used this list, it’s in counties that are “rural” in nature. Maybe a mid-sized city, but usually NOT a big city like Houston, Dallas or Phoenix. That being said, I can’t see why this list wouldn’t work in those kinds of markets as well. The whole idea is to seek out that small segment of society that just doesn’t care about their property (and these types of property owners are everywhere, in every market – believe me). I’ve tried it in good times and and bad, and I’ve always been able to squeeze at least a few amazing deals out of every direct mail campaign. Keep in mind though, success also has a lot to do with sorting the list properly and sending out a well-written, compelling message… but I would say by far, getting this list is the most important first step in the process. A woman I spoke to at my county tax office explained that the list would be $150 and ONLY includes the section, block and lot. I WOULD need to look up the address of each person. Is this worth the price? Also, HOW would I do that? Please help. Seth, I really want to try this but it’s a pain. Thank you for creating such and excellent blog…it’s like “Wholsaling for Dummies, I was feeling so overwhelmed and frustrated and your blog really helped and breaks down. It really helped me. Thank You! Thanks for your question Blake – I just sent you an email to share my thoughts. Hope it helps! Hi Seth. I’m not sure if what Blake ran into is something some of us too will encounter but can you post the response here as well so we can benefit too? I really wish I had some money to invest in this but I’m so flat broke right now, can barely make ends meet as it is. But hopeful that I can one day in the near future really immerse myself in this so that I might have a better future. I’m 41 and feel depressed about my current circumstances in life. “I do NOT think this is worth the price (because without the addresses in an easy-to-access format, you’ll be in over your head in “busywork” trying to create a complete list). Seth, Samantha kind of hit on something I was thinking of. My question, is how does this work if their is a mortgage on the property? I understand if you buy the tax lien, it wipes out the mortgage, which is why the pickings are slim at the auctions because the banks buy the liens on the properties they own. Here’s a scenario: The home is worth $100,000 with a balance of $50,000 on the mortgage, the owner is behind on taxes 10,000. You make an offer to the owner for 15,000 to purchase the home “before” it goes to tax auction, the owner accepts. Since the county did not auction off the property which would have killed the mortgage, what happens to the mortgage in this case? Hi Christopher – in the cases where there is a mortgage, my assumption is that (since the seller isn’t even willing to pay their taxes), I would be stuck paying off their mortgage too. Since most mortgage balances like this will be significant, it’s just a matter of factoring this into your closing costs. In the vast majority of situations when a mortgage balance is involved, it’s going to kill the deal (not always, but usually). It’s all about keeping your profit margin large enough (your total cost to purchase, minus the property’s fair market value) to ensure you make a profit – and since a mortgage will take a GIANT bite out of your profit margin (if it doesn’t eat up the whole thing), these are usually enough to make me walk away from these types of deals. So, I’m curious, Seth…. In all due respect, if this info you are selling is as effective as you say, why aren’t there hundreds of comments with stories of success on your blog? Hi Jon – that’s a great question, thanks for asking! I actually do get emails pretty frequently from people who have had great success with the stuff I’m talking about… I guess I should probably start a “Testimonials” page on the site or something. I’ve been a little hesitant to do this in the past because I didn’t want to come off as “braggy” about what I do, but I think you have a good point. Testimonials do a great job of informing the public and letting people know when something legitimately works. I guess it wouldn’t hurt to let the world know when things are working like their supposed to. I’ll put this on my “To Do” list. Thanks again for the suggestion! Seth, does this mean the only sellers on the delinquent list who you would benefit from in the future by buying their property be ones that have paid off most if not all of their mortgage (though obviously not their taxes)? What are the chances that you will find homeowners that have paid most of their mortgages off on that list? I guess that is the downside to the list . Hi Sophie – I think you’ll actually find that by default, most of the people on the delinquent tax list don’t have any mortgages on their property. I explain the reason why in this blog post, be sure to check it out! Wow. I made a post asking a legitimate question as I was an inch away from buying your info. And apparently you didn’t like that someone respectfully questioned you and asked you to sell me on this product. If this was legit, you would have used my post as opportunity to retort and build the value. But instead, you deleted your post, it seems. Proving to me that this whole thing is a sham. Hey Jon – I’m actually on vacation right now and I don’t have easy access to a computer to review and approve comments on the blog (this is how we keep spammers and trolls off the site). So don’t worry, I didn’t delete your comment! I’m sorry if this 24 hour delay came across the wrong way. Again, I’ll work on posting some of those testimonials in the next few weeks. Either way, I hope you found some of the information here helpful. If you think I can improve anything else, definitely let me know! I have really enjoyed reading the blog… and the comments with answers. If I’m getting this right the ideal opportunity would be to find a house that owes a decent chunk of change in taxes from the county delinquents list, that also has a low mortgage payment? Once these properties are found, we then contact them through direct mail using the flyers etc. then figure out if they would like to sell and then find a price. From there… Contact my real estate agent to set up the deal to purchase the house. Along with that would be paying off the owed taxes. 1 – Is the process above pretty accurate? 2 – If I am buying someones house why would I pay/inherit their outstanding mortgage? Hi James – most of the properties I buy have no mortgage on them whatsoever, and many (though certainly not all) of them are vacant land. I explain more about it in this blog post. As for how to contact them, I use postcards through a service called Click2Mail. I don’t use any agents to handle my purchases, I collect the information through my buying website and then send the offers out myself (and the offers are always very, very low). If you’re buying a property that does have a mortgage, you wouldn’t necessarily inherit the mortgage by default, but it does need to be paid off (either by you, or the seller). If it’s not, then the bank has the right to foreclose on the property (so even though the mortgage isn’t technically in your name, it’s still your problem to solve if nobody else pays it off). As for when the county will foreclose, you can find that out by simply calling the county tax collector and asking them when the deadline is (how many years it can go delinquent, and what the exact cutoff date is). I am a young investor from Alberta, Canada that is interested in raw land purchases and have recently heard your podcast on biggerpockets.com. Since then, I have started to make calls to the surrounding municipalities with no luck on finding a tax delinquent list. Most of the time, I am being told that these lists are confidential and can hardly find any information on the subject. Do you know if these lists are only open to the public in the U.S? Am I just not talking to the right people? Can I even get this list in Canada? If you have any information on this subject, it would be greatly appreciated. Hey Patrick, that’s awesome man! Thanks for checking out the site. Honestly, I’m not sure how this process works in Canada, as I’ve never tried this approach there – but given that our countries are under two completely separate government systems, I’d say there’s a fair chance that this information literally isn’t available to the public in Canada (just because it works this way in the US doesn’t mean it’ll work the same way in Canada). I know a number of Canadian residents who work this business in the US from abroad (it’s totally possible), but as for taking this same approach with Canadian real estate, that’s an area where I’m completely in the dark. Sorry about that! Thanks for the link. It really help me progress in my research. I just have one more question for you. I would like to know exactly what you do for your due diligence process. I have made myself a huge check list but I think it might be over the top for this type of investment. I’m sure you would have some type of step by step guide that you follow to insure a great deal without spending to much time or money. Hi Patrick, thanks! When it comes to vacant land, this blog post explains most of the things I look for. As for the other types of properties, this blog post also explains what I look for. Hopefully one (or both) of those will be helpful to you. I have been doing a lot of research in the past weeks and it’s been going great thanks to this awesome site. Unfortunately, I found out that the tax delinquent list is not available in Canada so I decided to try it out in the States. But, trying to invest across the border definitely has its own set of challenges and I’m often left with many unanswered questions even when talking to professionals. I’m basically writing this to find/get contacts. Nothing would be more helpful than to have a quick 10 min chat with someone who has done exactly what I am trying to achieve. Any help would be really appreciated. Keep up the good work Seth. Thanks for the tips! I just found my counties delinquent tax list but it’s confusing. They put all paid and unpaid taxes together. Hi Christian – that’s great! Way to take the first step (that’s usually the hardest part for most people). Do you know how to use the “sort” (A-Z) function in excel? If you can sort all the recipients based on the amount of taxes owed, you should be able to group together all the “paid” listings and DELETE them. Once they’re deleted, simply continue with the sorting process. Great info sir! I recently heard your podcast on BP and found your site soon after. I have always wondered how to go about doing exactly this, looking for pre sale delinquent tax owners. This site and all your info is a huge motivator. I am actually looking to find vacant lots at a discount because I want to get back into building and developing SFR. Finding these motivated sellers I feel is a great way to start. Have you done any building on the lots yourself or do you just resell the raw land for profit? Thanks J! I’m glad the site is a good motivation for you, that’s great to hear! I haven’t done any building on my vacant lots, but I’ve seen plenty of opportunities to do so… I just chose to go a different path in getting my properties sold for fast cash (but there are many different ways to make a profit in the land business). Thanks for the tips. I am thinking about buying this as my counties list is proving hard to get. They keep saying they don’t keep a list like that. I do feel that if I were to get my hands on it, it would be listed by parcel number. How would you navigate that? Would I have to look up each individual address? Hi Brendan – I understand what you’re experiencing. This isn’t an uncommon phenomenon. Sometimes the list can be obtained by either talking to a different person and/or by explaining your request in several different ways until the person on the other end of the phone finally starts to understand it (this list is something they rarely get requests for… so even though it does exist, it’s understandable that many of them will misunderstand the request). The full blog post explains all of this stuff, but ultimately, if you encounter a county that is simply making your request impossible, you always have the option of trying another county until you get what you need (remember, just because one county won’t give it to you in the right format, doesn’t mean you can’t get exactly what you need from the county next door). Thanks for the great information. I reached out to my local county treasurer today and asked for the delinquent tax list and they told me that they don’t produce a delinquent tax list. They offered me their tax roll, which would contain both current and delinquent parcels. But they said the use of lists for commercial use (profit-expecting activities) is prohibited. So it would be against the law for me to use it to find and sell land. Have you had this happen before? What is your advice? Hey Seth, I heard your podcast on BP and found my way to your site. After months of studying real estate im convinced this is the best way to go and Im very interested in doing what you do, and this seems like a very good question. Can we please get a response ? Thanks for bumping this. Yes, this comes up from time to time in some counties, and honestly, I’ve always found it to be somewhat of a gray area. Most counties use the term “commercial purposes” or “solicitation purposes” (the intent to sell something to these property owners). That’s obviously not what we’re doing, we’re offering them cash for their property (and to pay off taxes that are owed to the county – which is actually a service to them), so our interpretation would be different. The term “profit expecting activities” is a little broader, but it’s still not entirely clear cut. For instance – some people may be looking to buy a property for their owner personal use, whereas others may be looking to flip it for a profit (and some people might not even know what their plans are until they see the specifics of each property). It’s also important to consider – are you being required to sign something to this effect before you can get the list? If so, that could actually have some teeth to it (depending on what it says), whereas a general “rule” sounds pretty loose. In either case, I can say, I’ve literally never heard of a county coming after someone for violating this. That’s not to say it could never happen, but if these counties actually care, most of them aren’t doing much to police it. 1. Find a different county that won’t make an issue out of this. Option 2 is actually significantly easier to work with, I might add – though the response rate probably won’t be quite as good, because these services won’t narrow down the data very well based on tax delinquent status. The long and the short of it is, while this kind of thing is certainly annoying and can cause a bit of anxiety, this doesn’t need to be a show-stopping issue. There are PLENTY of counties that simply don’t care about this, so if you’ve run into one that is causing you trouble, just keep searching until you find a source that is willing to make the process easier (because they’re definitely out there). Please point me in the direction to get started. I need the basics. Hi Keisha – that’s actually the entire point of this blog post. Did you have any specific questions that aren’t answered in the full version of this article? I want to find out how to purchase lien certificates right around the time the redemption period is ending. I’m more interested in receiving a return on my investment as opposed to obtaining properties to own and/or flip. I am just starting out and am trying to create my lists. I have put in many calls to county treasurers trying to obtain the delinquent tax list. Most of them note that the list will not be released until a month or so prior to the tax sale. The majority of the counties noted that SRI Incorporated executes their list and they can not be obtained until SRI releases them. I called SRI and they could not directly send me the lists. Do you have any recommendations and and all information is greatly appreciated? Hi John – it sounds like they’re misunderstanding which list you’re asking for (which is a very common thing when you’re requesting these lists). They think you’re asking for the list of properties that have already been foreclosed and are heading to the tax sale. This is not what you want. You want the list of properties that are still owned by their respective owners, but will eventually be foreclosed on if those their delinquent taxes aren’t paid current. The most likely do have the list you want, but they don’t really understand what you’re asking for (because people rarely request the list of properties that haven’t been foreclosed yet… but people DO request the tax sale list all the time). Try calling some of them back and reiterating the list you’re requesting (you might have to explain it a few different ways to a few different people). Thanks for the knowledge share, lot of information to know as a newbie. Two county treasurer’s that I have contacted had asked me to sign the public record access form agreeing that I will not use the delinquent tax individuals list for commercial purposes(Profit activities like buying). Have you come across this situation and how to move forward? Appreciate your guidance on this. Hi Raju – you bet. There are a number of counties out there who require this kind of thing (we’ve covered this issue in great detail in the REtipster Forum). There are all kinds of companies that farm county data (even delinquent tax payers specifically) to offer all kinds of things – so many states / counties have made moves to protect against this type of activity. The thing to remember is – you’re not selling anything to these people, you’re offering to give them money in exchange for their property. This information will NOT be used to solicit a product or service of any kind (and as a result, the county is going to get these delinquent tax balances paid current). For these reasons, I’ve always been comfortable agreeing to these kinds of terms that the county requires, because as I understand it, I’m not violating them in any way. Seth, I bought your full article, and dutifully went to my county’s assessor’s office, paid $100 for the whole county tax roll in ASCII delimited format DAT file. The county officials – 4 to be exact – insisted that is he format they can give out. Upon further inquiry as to how they send out delinquent tax notices to the property owners, they said, “we do not, the attorney’s office does”. How do they determine who to send it out to, since I have seen 15 year old pending tax bills too……the answer: “the attorney’s decide”. I am in a fix because there were 2 files: a Master.DAT one and a Records.DAT one. I have tried to hire people off of Fiverr, and also sought out software suggested by the county people, but to no great outcome. What can I do ? Hi Aish – what state are you working in? Hi Seth. I’m working through these steps one at a time (trying not to get ahead of myself). I have obtained three lists and each has varying data. Most include no values in the SITUS field and I’m wondering how I go about finding the parcel on a map without an address (per se)? Additionally, I’m having trouble understanding the various zoning codes. I’ve figured out how to distinguish land only versus parcels that have structures, but for parcels that are land only there are still decisions to be made (I assume) based on zoning (eg. recreational, farm, residential, tract land [I’m not even sure what that means]). Should a person be focused on recreational only?? What are your thoughts? Hi Tammy – personally, I would be willing to look at any type of land that is residential, recreational or agricultural (among others). The only ones I tend to steer away from are commercial and industrial, because those types of land can be subject to certain environmental laws (which in some cases, can make it much more expensive to buy or sell a property). Im a wholesaler planning on mailing tax delinquent properties soon and have been told to not mention their situation on the postcard as it can be a bit emberassing for them and the mailman.Would you mind personally emailing me a template I could use to to tactfully reach out to someone going through this?Id appreciate it a lot Seth! Hi Gerre, I think it depends on how well you sort the list… but generally speaking, I think there is definitely some validity to what you’re saying. I acquired the Tax Delinquent List and I’ve purchased agent pro the $18 a month plan. but my list is 13,000 and I have to do all the mailings myself. Agent pro allow me to look up ONLY 50 profiles a month, I paid $265 for the list PLEASE show me how to scan my list so I can get it in the mail and start making money. I’m in Los Angeles where it’s a lot of opportunity here, Please help me Seth, when I get a deal I will help you in any way possible, we need each other and I am a man of my word, that’s all I have, help me get this list out Seth, Thanks !!!! Hi Hosea – what are you stuck on exactly? If you have the list from the county, it’s just a matter of sorting it and getting the data into the appropriate format so you can upload the list to Click2Mail and get the direct mail campaign out the door. Keep in mind, sorting a list (especially from the county) can be one of the most tedious and challenging aspects of this entire process (it’s almost enough to drive some people crazy), but if you can get sort it right and get your mail out the door, that’s when the results will start happening. If you’re working with a SUPER complicated list that seems impossible to sort, you might consider hiring some help on Fiverr or Upwork to help you along. Check out this blog post for more information on how to do that. I have been going over your blog site and find it very helpful. I just wanted to ask you, when you buy a property that lets say owes the state $2000 for lets say $500, you actually have to pay the state the taxes the owner owed, correct? My question is this a list of Tax liens that can be purchased.? I’m so used to buying Real Estate Limited Partnerships so I can get all the tax write offs that I have little experience with the intra quitsies of all this legal jargon and the bureaucracies of working with local Government employees. If you need clarification of my question, just Email me. In addition, I find it very refreshing to find such a charming, kind, considerate and patient man behind this website. Not the usual online type of chap. Congrats on your Success and continued Success. Success is a Habit Seth, remember that. Thanks so much Timothy! I appreciate the kind words more than you know. As for the best way to acquire tax delinquent property – I think it depends on what state you’re working in (because different states follow different procedures, as I explain in this blog post). If you buy at a tax auction, the nice thing is that it’s fairly easy to find the properties (because they’re literally presented to you), but you’ll usually have to deal with a lot of competition in order to actually get deals. In my experience in the counties I’ve tried, it wasn’t even possible to find deals on the properties I wanted to buy, because the prices were bid up so high. The nice thing about using the method I explain above is that you virtually eliminate all the competition, but you also have to wade through a bit more hassle (getting the list, sending out the mail, fielding the responses, etc) in order to find the motivated sellers. Personally, I prefer the method above – but it’s not the only way to get the job done, it’s just the most effective way I’ve found. It does require quite a bit of patience and persistence (especially in the beginning), but if you can get past that obstacle, it’s an incredibly effective way to get some amazing deals. Great Explanation Seth. You’ve made an extremely complicated, bureaucratic system working with overworked city employees who don’t want to answer your questions and explain their requirements. Texas is a Tax Deed State and pretty efficient and you can get good properties in good condition there. I’m building a Portfolio for my Sons Roth Ira and my Granddaughters Portfolio for College if she chooses. The Recommendation of the same company you use for Roth Ira’s is extremely knowledgeable and helpful without no sales pressure. I Highly recommend them to all your readers .What State are you in for tax liens.? Thanks for your valuable time in responding. It is very appreciated. Continued Success to you and see you at the Top.! Hey Seth, how are you? I would like to get the rest of the post. Is a discount still available? Greatly APPRECIATE it! Hi Jose – I’ll send it to you shortly. Every county I’ve called does not have a property type field on there delinquent data, how do you deal with this? Is there some secret technique? Or am I getting the wrong file? Hi Mike – I’ve encountered this before too, and it’s not as big of a problem as you might think. If your goal is to only keep the vacant land properties on your list (as it is mine), you’ll find that by default, many of the properties will be vacant land by default, with a surprisingly smaller percentage of houses. Thanks for your quick response to me not receiving the link. Problem resolved. Sure thing Mona! Thanks for your patience. Hi Matt – you may want to go back to the county and ask for a separate (corresponding) list with the mailing addresses on it. Sometimes the lists come as two separate files like this… one with the physical address, and another with the mailing address. Just make sure they understand what you actually want and try not to pay for anything until you know they can give it to you. Awesome, that helps, thank you Seth! Thank you so much for all of the great information on your website. You are incredibly thorough and I am so glad that you are putting so much time and effort into helping all of us! You’ve really helped me start to understand the business so far. I am a newbie, still trying to obtain my first list from a county. If you are looking in a state which doesn’t allow back taxes to accumulate for a very long time (in a Colorado county I’m looking at for example, delinquent tax notices go out in July for the previous year’s taxes and then lien auctions start early October), it doesn’t give you a very large window to do the mailings/find a seller/make a deal/buy the property, and then pay off the delinquent taxes before the tax lien certificate is issued (at least not if you’re inexperienced like me and have to take your time learning everything as you go). In this scenario (in a state like Colorado) could you purchase a property which already has a tax lien issued to it? (In this post you say it’s too late to buy a property if it already went into tax foreclosure, but maybe that’s just with tax deed). It seems like in CO all delinquent properties are immediately put up for tax lien sale after the first tax due notices are sent out. So, couldn’t you just pay off the lien once you acquire the property? Or are there other consequences with that way of doing things that I just don’t know about…? Sorry, that ended up being 3 questions! 1. In most cases, it usually doesn’t take me more than 60 days to acquire a property (that’s from the date I send out the direct mail, to the date the deed is recorded in my name)… so you don’t necessarily need a TON of time to get the job done. 2. 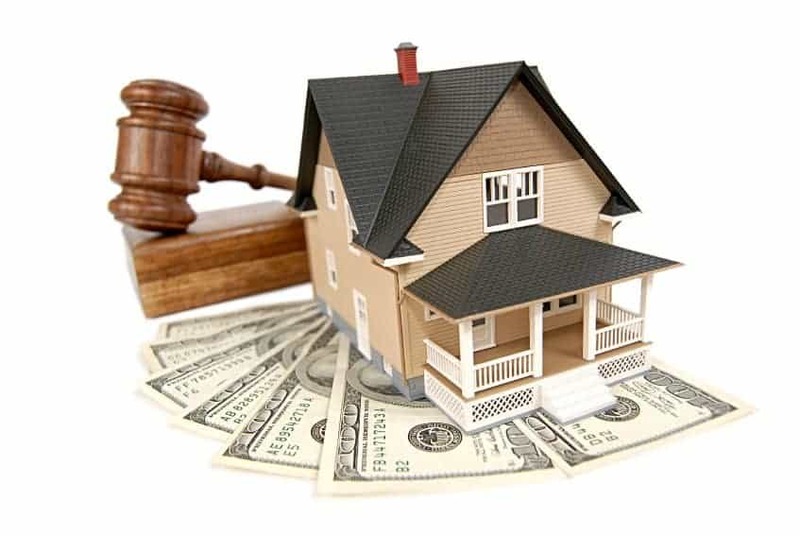 Most of my deals have happened in tax deed states – but in the case of the tax lien state… depending on how long the redemption period is, you should be able to pay off the tax lien and eliminate the lien holder’s interest in the property. Granted – it could be substantially more expensive to do it that way (depending on a number of factors), but simply from a timing standpoint, I think that would be an option in many cases – which is different from the was that tax deed states work. I have the tax list, but there are no headings on it after importing. I have no clue what I’m looking at. UGH!! Hi Scott – what do you mean by “headings”? Are you unable to determine which columns are the name, address, city, state & zip of the property owner? Those are ultimately the most crucial pieces of information for the purpose of getting your direct mail campaign out the door. I was wondering if you have invested in Texas? We mailed directly to the late tax list in TX and received almost a ZERO response rate. It appears there are mostly unmotivated sellers in Texas if they are late since we have properties as late as 10 years with no foreclosure. I realize there is no ryme or reason for when the government decides to foreclose, but we have actually taken 3 counties of Tax Late data into a database, normalized it and filtered and literally not a single person responded. Thanks for all the great informaton you have shared! Hi Christy, I have done a little bit of work in Texas in the past and honestly, I saw some pretty good results there. I’m surprised at the lack of response you’ve had. Without seeing any real details, I would guess that the state of Texas isn’t the problem at all – it’s more a function of the individual counties you’re getting the data (and perhaps even more important is how you’re filtering the data). The kind of mail piece you’re sending these recipients, and the way you’re fielding the responses can also have a big effect on the response rate (what are you saying to these recipients? are you sending them to a voicemail message? to a website? are you taking the calls live? something else?). It’s hard to give you any more pointers without seeing more details – but it’s one of those things where any one of these issues has the potential to throw a wrench in the results. Before you do any more direct mail campaigns, I’d take a long look at each variable and scrutinize for anything that could be skewing the results. On your next try, start making some alterations to which county you get the list from, how you’re filtering it, what you’re saying in your mail piece and/or how you’re accepting the responses and take careful notes on what kinds of changes you see in the response rate (for better or worse). Thanks for the quick and thorough reply. The first campaign we ran from a purchased list and it could very well be ‘old’ or ‘dirty’. We have since gotten data directly from Collin and Denton counties and have made some headway in ‘organizing’ it. Our strategy is to look for those more than 2 years late who owe $2K . Since we are not targeting vacant land, I plan to exclude those with no improvements and target market values from $100K-$500K. Have you dealt with finding occupied properties with distressed homeowners, or have you focused solely on land and in more rural areas. I sent a ‘professional’ style letter using stationary envelopes. As I mentioned, we have a way to bring in 2 counties so far and I am not sure I am narrowing down or targeting the right crowd. Any additional thoughts is much appreciated. So I have been trying to obtain this tax delinquent list from the town, delivered FOIL requests in person and via fax/email/snail mail. I have even spoke to the receiver of taxes. When specifically asked what I was going to do with the list, I responded that I was going to offer to buy their home. After telling me that I was unethical, I was informed that I was soliciting information and would not be given me access to the tax list. I explained that the service that I can provide is helpful to those individuals who want it, and I do not see it as unethical. I explained this and was told that regardless of my reasoning, it was still soliciting …what now? In advance, thank you for your help! 1. Try to find a different person at the county who is willing to provide the list for you (and if it’s a small county office, this could be pretty difficult). 2. Throw in the towel with this county, and try one of the other 3,000 counties in the U.S (start with the nearest ones to the area you’re targeting). I’ve encountered this kind of response with some counties too and I know it’s SUPER frustrating. Honestly though… it’s not worth arguing or obsessing over the one county that won’t work with you. Just keep trying other areas until you find one (or several) who will make the process easy. It may take a bit of hunting, but they’re definitely out there if you keep looking! My question is, is this full article content also in your training sessions? Or is this additional content? I think I am interested in the full training package. Thank you and I am looking forward to scouring this blog this weekend! Thanks Barbara – I’m glad it was helpful to you! Yes – the full article is included with a membership to the REtipster Club (if that’s what you’re asking about)… so if you were thinking of subscribing to the membership site, there would be no need to purchase access to this item separately. I hope that helps! If you have any other questions, let me know. I’ve read over your page here and had a couple questions. I’m looking to obtain a list for King County, WA. The Tax Accessors Office will provide you with an ‘Entire Tax Roll’ rather than a Delinquent Tax List. It’s $250 for the Whole County. They told me it’s updated daily. 1) How often would I want to order a new list so that I identify which new prospects fall into my 2 years delinquent category? Quarterly, Semi-Annually, Annually? 2) I’m a real estate broker as well, and was interested in using this avenue for making good investments on the ‘Purchase’ for either ‘Flipping’ or ‘Rentals’ but also as a lead generator for Listings. Is this possible? 4) I’m a huge prospecter for listings using Circle Prospecting, Farming, and Probates so my plan was to load up the Tax Delinquents into a Dialer and prospecting for either Flips, Rentals, & Listings. 5) My goal would be able to monitor my county for properties that fall into the 2 year Delinquent Group, and be notified them the day of, so that I can call them immediately and see if I can identify an opportunity. 1) I would try to send out your mail no later than 2 – 4 weeks after you’ve received a fresh list (any longer than that and the list will start to get stale). I would also give it at least 6 months before you hit the same county twice… this will give it some time to cycle off the old properties and get some fresh ones on the list. 2) Yes, I think this is totally feasible. 3) I’ve found that when people have debt on their property, they’re much less likely to sell for pennies on the dollar, because they have to resolve their debt obligation with the sale. However, when they own it free in clear, they have much more flexibility to sell at a cheaper price, because they don’t need to satisfy any creditors as part of the deal. This isn’t always the case, but often times it is. 5) OK – cool. I’ve never tried this before, but it sounds like it might be worth a shot. Been checking your blogs for past couple months. Great info, website layout and you respond to comments. Very few bloggers, in my opinion respond to comments. Thumbs up for that. Have few questions, if you don’t mind. I know nothing of real estate investing, but I’ve been researching because I passionately want to do better for myself. Im in NYC. currently work two jobs, have very little money to spend/invest, but from my research it seems to me that theirs great possibility in REI. I want to invest in land, ( farmland particularly) residential and commercial properties In NYC and nationwide. The lists that I would get from the counties, would they apply to residential and commercial properties ? Or they would mostly be land in most counties ? Does transactional funding work with this tax investing program ? Is it wise or OK to use a virtual assistant ? Finally I’m considering your 12 moduals. Is that 67 per month contract and immediate release. Or just 67 cancel any time. Are you available for coaching or advise during business hours ? Lot more to ask , but don’t want to be too much. I’m able to get the tax list in my county for $50. Seems pretty cheap. My question, which is probably dumb, is who pays the tax debt after I get the house under contract? Does the owner pay out of the money they get from me or another investor if I assign the contract? Does it work like a simple typical wholesale deal? Hi Dave – the person responsible for paying that bill is whoever you specify in the purchase agreement. When I structure my deals, I always list the buyer as the party to pay the tax bill (because that’s the whole reason why the seller is agreeing to sell it for almost nothing in the first place)… however, you’re free to try and work out some other arrangement with the seller if they’ll agree to it. That’s awesome Moshe! Sometimes you just get lucky on the first try. 🙂 Thanks for sharing your experience, and I wish you all the luck in the world! I love your blog. The content you provide is excellent! Thank you for doing this. Here is my question/difficulty with obtaining the right data. Unless I am checking it wrong, AgentPro does not have any tax delinquent data for any counties in my state (NY). So, I went directly to the sources. I called two counties, both of which are requiring me to submit Freedom of Information Law (FOIL) requests. At first, I thought one of the counties would actually give me their list without having to go through FOIL, but then they asked “why do you want this list?” I answered truthfully and they basically shut me down. Should I have said something else? Have you had to go through FOIL/FOIA process to get your lists with any of the counties you worked in? Having used FOIL/FOIA in other contexts, I know that it can take an incredibly long time to actually get the information from an administrative body, so I am worried that even if I follow their process the data I get will be stale. Any thoughts? Thanks again! Hi Vitaliy – thanks for sharing your experience. That sounds frustrating. I know this is an issue that can come up in some areas around the country (Washington is another state where I hear about this from time to time). Honestly, I think the law is on your side – but at the same time, you have the weigh the cost of complying with their request. If it’s going to require a great deal of your time and energy, you may be better suited to just move on to a different county. Some counties make this process extremely difficult, but not all of them. At the stage you’re at, I think the biggest battle is to simply find the counties that will make it easy for you, and sometimes it will take calls to a dozen or more counties to find the ones who will fit the bill. If I were you, I would just keep calling other counties until I found one that would help me get to the next stage. Even if you have to abandon New York and start looking in another state, I wouldn’t disqualify this as an option – remember, the land business isn’t difficult to work remotely, so there’s no reason you have to stay in NY. Thanks for replying so quickly, Seth. I think I am going to explore all of the options that you alluded to. I think I am going to try one FOIL request and see what kind of response I get. In the meantime, I will call some other counties in NY and if I don’t get anywhere with them, will consider going outside of the state. As I am sure you know from your own experience, it is a little scary to go outside of your home state when you have never done a successful deal before. I think I read in one of your posts that you are not a huge fan of some of the states in the Northeast (New York being one of them) for the delinquent tax land investing business model. Have you ever tried or had any success in any counties in Pennsylvania or Massachusetts? Thanks again for your help and advice. Vitaliy- don’t give up on New York counties yet. Some will give to you. But why do you have to say why you want the list? Just tell them you’re doing a research project – it’s not a lie. Seth – do you have a blog post on how to do a parcel search across a whole county if you don’t know the municipality? Thank you so much for sharing your expertise! Luckily, my county allows me to search taxes due on properties by searching the specific address (as I have my eye on an abandoned house in our neighborhood), and I feel that we have leverage given this house will be put up for foreclosure this May (with a 2 year window for the owner to pay up). Given the owner hasn’t been able to stay current on payments for over 10 years, I feel we have a strong case for persuasion to help them avoid foreclosure. The owner was gifted this house from a deceased ancestor, so we hope there aren’t many more debts apart from the unpaid taxes and maybe utilities. Do you advise engaging a real estate lawyer when making these deals? Also, is there any safe way of finding out if there are any additional outstanding debts that would make it a riskier and less enticing investment (i.e. reverse mortgage on the property)? Hi Lindsey – if you did a title search on the property, that should give you a pretty good idea as to whether or not there are any other liens/loans outstanding on the property. As for engaging a lawyer – if it were me, I probably wouldn’t bother with this (because I know what I’m doing), but if you have any doubts about the process or the legality of what you’re doing, you can certainly go this route. The only down side is it will cost you more money. Thanks for the heads up! I saw in my county research that the deed type is listed as “Inst”. I’m still going to do a deeper search with a title company, but have you ever run across that abbreviation before? How is this different than looking for Tax delinquent properties on any chosen counties website? I have already purchased 2 properties this way. Its tedious work to sort through the list and do your homework on anything that looks promising but as I said its paid off 2x so far. What is different about your list? I don’t have to call homeowners. I simply pay the past tax bill, keep the taxes current from that point forward and wait. Yes the good ones get bought up by giant investing groups. I only get what they discard as not worth their time. If the homeowners pay up I get my money back plus interest. If they don’t then I get the property when time is up. Yes I do have to then pay to clear title but still getting a property for pennies so its worth it. Hi Linda, most counties work differently from one another. Some counties will make this info available online, and others won’t (and when they do, it usually isn’t easy to sort though – as you mentioned). Also, based on your comment, I think you may be working with a different type of list altogether (a tax lien list), whereas the delinquent tax list is one where we aren’t buying a lien on the property, we’re buying the property outright. It’s a subtle difference, but it’s a BIG difference in the end. All that said… if you’re using a list that’s working for you (whatever type of list it is), stick to it! There’s no reason you need to change up your strategy if you’ve got one that’s winning in the end. Keep up the good work! That’s why I was curious? Am I missing something? Is there a difference between tax lien and tax delinquent? Because the properties I look at are “delinquent” and I pay the taxes and therefore hold the tax lien until the predetermined time is up for the property owner to redeem. I found your site because I was hoping there was a better more streamlined way to sort through these properties. Its tedious work. Correct me if I am confused. But based on what I’ve read I do understand that your method costs more up front. but you have a quicker turn around rate to actually owning the property. My method requires time to sit and wait for the counties predetermined deadlines to come and go. But what had me confused was the difference in the stages of your list vs the lists I use. A few of the counties I contacted tell me they have their tax delinquent information online, and they do. However it is on a program called Ascent Land Records Suite. Is there any way to use this information for a mass mailing campaign or do I still need the Excel file. Hi Seth. I’m very interested in your course. Forgive me if this questions was asked already on the post, but there’s a ton of comments to look through. When you purchase someone’s land that has delinquent taxes, don’t those past due taxes then become your responsibility? Does the value of the land offset the cost of taxes? On the foreclosure timeline above it mentions a high balance on taxes 2 years past due. That phrase causes me some concern if that high balance obligation would then become my responsibility. Hi Gary – thanks for asking! That’s correct, if a property has delinquent taxes, it would be your problem to pay them off (at least, that’s how I structure my offers). A high delinquent tax balance CAN kill a deal in some cases (if there are several years past due, and the balance fees have created a huge cost to pay off). This is why when you’re using this strategy, it’s important to factor this delinquent tax amount into your overall offer. This blog post explains a bit more on how I do this. Hey Seth what is the best way to obtain these properties? Cash deals or using a private lender? Can it be done using subject to at all? I just ordered my county’s list for $50. I would assume the property mortgage balance would have to be less than what you offer so the balance can be used towards the taxes past due. I just wholesaled a property that has a $12k tax balance that was due by the end of February but there was no mortgage. it worked out well. But can this be done with a house with a mortgage higher than what you could offer? For example a house with a $100 mortgage balance and $10k past due on taxes. I couldn’t go in and offer $50k correct? I don’t think anyone has asked this, but is there a preferred time to be in possession of this list? As in, when is it most actionable? It seems like it could be possible for properties to enter into the list not long after the taxes are due. However, these may also be short-lived delinquents that will clear quickly. Hi Bill, good question. I would say – the only time you don’t want to start acting on it, is within a month or less (maybe even two months or less) from the deadline where the county seizes the properties, because this just doesn’t give an investor enough time to do a direct mail campaign and wait for all the lag time required to close a deal. That being said – I think the closer you are to the deadline (whenever that happens to be in your state), the higher level of motivation you’ll probably see – but even so, the face that a property is on the list AT ALL is usually a pretty good indicator that the seller will be more motivated than the average property owner who has no delinquent taxes at all. In todays world are personalized email campaigns to Tax delinquent property owners more effective…as effective…. than direct mail postcards ? I would think Open Rates and potential Conversions are higher with Email solicitation to desperate owners. Additional, do County Delinquents Tax List include emails nowadays ? Hi Vitold – good question… I was actually just thinking about this yesterday – so it’s funny you should ask. I suppose it could be more effective, but I couldn’t say for sure, because I’ve never tired handling these campaigns via email (mainly because I’m not aware of any service or source that can provide the email addresses specifically for tax delinquent properties). The county office generally doesn’t have email addresses as readily available as the owner’s mailing address (assuming they have it at all). As for the open rate, I’m honestly not convinced it would be that much better than a direct mail piece, although I imagine the overall cost would definitely be cheaper – because you wouldn’t have any of the production or postage costs required by direct mail. It’s a great point of discussion though. If you ever find a feasible way to do this and have any success with it, let me know! I’d love to learn more about your experience with it. Awesome article, I really appreciate how thorough you are. I just want to clear up your theory so I understand it. I’m curious what happens with how the remaining balance of their mortgage. Say for example the home is worth 100k and that’s what they bought it for. They’ve paid 40% and owe 60k but they also haven’t been paying their taxes. For argument sake lets say they owe 10k in taxes. You offer him 50k and he accepts. What happens to the 10k (10% left on the mortage), do they default and go bankrupt? Who pays that off? Hi Patrick – in the vast majority of cases, the mortgage lender won’t let the property go into tax foreclosure, because it’s their collateral and they aren’t going to throw it all away because of a relatively small delinquent tax amount. Most of the properties that end up on a delinquent tax list are mortgage-free (amazing as it sounds), because mortgage companies often track the status of these taxes fairly well and/or they require a tax escrow account from the borrower in order to make sure these taxes are paid current. Does that make sense? I am looking for delinquent tax liens and deeds for Florida, NY and GA counties. I need it in a CVS or excel format. Hi Edward – have you tried calling any counties yet? This information is very helpful, however one issue I am worried about doing this is that the buyer will now take on the financial burden of paying the property tax owed. How would you resolve this issue after purchasing the house? AgentPro247 no longer offers the Bronze package for $18 per month. Next closest is $80 for 1000 records. That’s discouraging! Yeah, they’ve made some major changes to their pricing (and I’ve been told the service as a whole will be changing a bit more in the next year or so)… it’s definitely a bummer. I will say though… even with the significantly higher price, it’s still one of the better deals on the market right now (if you can believe it). Hi Dedrie – if you’re looking for the list of properties that have already been seized and are going up for auction – you’d probably have to contact the county and ask them when they publish this information. There are some third party services that can help with this too… but the most consistently reliable way to get it would be to just work with the county directly. Do you ever get the mineral rights to any off the properties you have obtained from a seller off the Delinquent Tax list ? In most of the deeds I’ve accepted – the mineral rights aren’t specifically withheld – so if the seller has them, I would get them too (unless otherwise noted). In most of the areas I’ve worked, mineral rights aren’t a big deal… but it is in other parts of the country. Ultimately, it’s not a huge deal as long as nobody else has the surface rights. If someone else holds the surface rights, that could affect my (or a future buyer’s) use of the property. This still isn’t likely to be a huge issue, but it could be something to be concerned about. Is it still possible to get the discount code? Trying to dig into this stuff and I feel the full post will be very beneficial! Hi Jordan – it is! Did you sign up for the email list? Once you do, the discount code will be emailed to you automatically. I did! But for some reason I never got an email. Hi Seth! I am enjoying your blog and all the wonderful information! Thank you kindly. 1. If I am trying to buy a home from someone on this tax delinquent list (versus land), may I take out a bank loan to finance the sale? 2. It seems you have to have the cash to purchase these properties and in my city of Los Angeles, paying 10 to 30% of the market rate may still be expensive and more than my liquid flow. Would a bank be willing to finance a property where the property is free and clear with a tax amount owed? 3. Or can I just pay off the taxes during the closing by borrowing enough to cover the past due taxes? 4. How realistic is it for me to try this method to buy myself a home in Los Angeles please? 1. I don’t see why not. As long as there are no title issues, and the bank is okay with it (and they’re able to get your loan approved fast enough to act). 2. I don’t see why the bank wouldn’t finance the purchase price… though the cost of taxes may require a bit more flexibility. Not all banks will do this, but some of the more accommodating ones might. 3. Again, it would be contingent on whether the lender is willing to loan you the amount needed to pay off the taxes. 4. It’s tough to say. I’ve never worked in that market in search of houses, but I have come across plenty of house opportunities at CRAZY low prices in my area (and the houses were usually a total disaster… but still a great value in the end). The trouble is – you never really know which opportunities will present themselves and/or where they’ll be located – so you may have to sift through some stuff in the “war zone” areas of town. Either way, it may be worth a try just to see what happens. I had a question before I purchased the list. I’m sorry if it is in here already. There are a lot of threads and I didn’t want to search through all of them. I read another blog about lead generation sites. I was considering REBO because they offer some other leads I was considering, but I want to branch off in other states and counties eventually. The information you provide, do you feel it is better to look for these yourself or what do you think about going with a site that scrubs everything for you. What do you provide with your information versus one of those. I’m actually a RE Broker that is joining forces with a GC and he wants to find the deals not everyone is going after. I thought this would be a good idea. I’m going to be doing all the footwork. Thanks for your help! Hey Cassie! That’s actually a great question. I would say – if your goal is to track down highly motivated sellers, the delinquent tax list is ONE (but not the only) solid way to do it… and it does have it’s challenges. The benefits are the the information is usually VERY accurate and up-to-date, and the is usually a higher level of motivation with this crowd (because they have a known problem – they haven’t paid off their taxes… and there’s usually a reason for that). However, working with a data service is usually easier than working with most county offices (not only in getting the list, but filtering it as well). Depending on which service you use, it can potentially be much more expensive too. These services aren’t very reliable when you’re looking specifically for tax delinquent property owners, so if that’s what you’re after, I wouldn’t try to get it from a data service. That being said – you don’t technically NEED to use tax delinquent data to find motivated sellers. If you’re working with a general list of property owners, you can still find them – you may just have to send out more mail to more people… but given the ease of use, that may be a worthwhile cost. It just depends on whether you want to spend more time, or more money along the way. Does that make sense? I’m slowly starting to contact counties in my area for the delinquent list. I’ve recently contacted one of the counties and they provided me with a zip file with 4 .dat files in that. Also, they provided me with an Attorney/Tax File Layout. Have you ever dealt with anything like that before? I specifically asked for an excel file, but was told they don’t have any way to do the excel file. I know you recommend to move on if they can’t or won’t provide an excel file. Just thought I’d check before I completely moved on. Hi Jordan, personally – I would just move on if they couldn’t provide a list that meets the basic standards I need to see… but if you really want to exhaust all options, you can always try finding someone on Fiverr who might be willing to help you sort it out. Even this is kind of a “hail mary”, but if you aren’t able to do anything else on your own, that’s kind of the last ditch effort that may be worth trying. I am interested in a 10 acre property w/ house that is vacant, unattended, overgrown, & tax delinquent. The property tax records indicate it is owned by “the heirs of…” Is there a way to obtain the property other than waiting for the county to do a tax foreclosure auction? I have tried to identify the heirs and it seems there are many. I have learned that buying from heirs can be complicated and difficult. Have you ever encountered this? Any advice? Hi Kyle – you could always contact those heirs and find out if they have the legal authority to sell the property directly to you. Depending on a number of factors, it could be fairly complicated, or it could be pretty cut-and-dry… but the first step would be to contact them and start the conversation. Great post. Thanks for all the free information you provide. It certainly helps when deciding to get into land investing. Quick question, as you may have gathered I am looking into the idea of land investing. How do you know the value of these properties before you purchase the tax delinquency list? Do you just look at the current values for other properties in the county? Thanks again for your advice and information. Hi Aaron – thanks for the question! If you’re evaluating properties BEFORE you make the offer, there are a number of things you can look at to zero in on a “ballpark” market value (keeping in mind, it’s very difficult to be 100% certain about the market value for land, because usually the data you’ll need simply isn’t there). I talk about this at great length in this blog post: https://retipster.com/valueofland – I hope it helps! So i was wondering when you get this delinquent Tax List how do you know that the parcel is a piece of vacant land? Is there usually a 0 as the street address because I have my first delinquent tax list but I want to know which ones are pieces of land, as I do not want to deal with the hassle of having a home to maintain. Also, if the land is vacant and you send a post card to that address, say it was to “0 Seth Drive, Albany, NY” how will anyone ever receive this post-card? Aren’t you essentially sending it to an unknown address? Hi David, Not every county list will give you the information you need to make this determination, but some of them will. One thing to look for is the property type (most counties have some type of use code they refer to)… you could even call the county and ask if there are any line items in the list you could use to decipher this. You could also look at the address, like you said – though this isn’t always perfectly reliable (because some vacant lots do have registered street addresses, and you don’t necessarily want to remove those). If it starts with 0, or if there’s no address or street number at all, that’s usually a fair indication that it’s vacant. If you’re working in a rural county, another option is to just send the mail to all the absentee owners on the list. You will get some leads on houses, but even so – you’ll likely find that the vast majority of leads are still vacant lots (as I explain in this blog post). This happens because most home owners have mortgages with escrow accounts to keep their taxes current, which by default keeps those properties OFF the delinquent tax list in the first place. what happens if someone still owes let’s say $35,000 on a house at the time of the tax lien sale? Or if you’re trying the process you teach about, what if they are weeks away from having everything taken away, so owe taxes and owe $35,000 on the land or house? Have you ran into this? Hi Caleb – if a property is seized when there is still debt outstanding, that lien holder would also lose their collateral. This is why many lenders have systems in place (like escrow accounts) to help ensure this kind of thing doesn’t happen – because it definitely endangers their situation as well. So as a buyer interested in buying that home, I wouldn’t have to pay their outstanding mortgage left? It’s just a total loss for the owner and I’m just paying the taxes or highest bid if I’m the winning bid? Or if I use the process you are teaching I’m just paying them my offer and taxes owed? The mortgage debt will only get wiped out if the property actually goes through tax foreclosure. A tax sale wipes out ALL previous owners and liens on a property. However, if you intend to buy a property before it goes to tax sale (which is generally the aim when using this kind of list), then yes, either you or the seller would have to come out of pocket to pay off any outstanding debt or liens against the property (and if the property is being sold for a very low price… then it will probably be the buyer’s problem to take care of). If you’re wondering how to factor these extra costs into your overall offer price, you might find this blog post interesting. In my county’s delinquent tax list, there are no names of the owner, just the address. Is that normal? Do we just try to contact the owner without knowing their names? Hmmmm, I wouldn’t say that’s normal – but certainly possible. It’s probably a matter of going back to the person who generated the list and specifying what you need to see on it (i.e. – the names). It’s probably just a matter of including this when they generate the list (perhaps they either missed it, or didn’t realize you needed it). It if were me, I would go back to them and ask them to run the list again WITH the information I needed. I’ve obtained the list from a few counties, however in Texas they give it to you in a format that you will need a programmer to program for you. Have you, Seth (or anyone else) had to do this before? If so, that is the typical cost you see for this and how do you find this type of programmer? Hi Shannon – I actually have heard of that issue in several Texas counties. I’m not sure what the workaround is, but I’m pretty sure it is possible. You might want to start the process by finding an excel wizard on a site like Fiverr or Upwork. They may need you to take a few extra steps before they can start their process, but they could at least inform you of what else then need to have in order to get started. Excellent information/blog post. I can’t believe this is about 4 years old now. I’ve went to multiple Real Estate Investors meetings and nobody has ever heard of this method. I just keep it to myself now since it’s worked so well for me. In my county the records are free. I take the parcels to find the address/phone number then google earth each house. After that I decide to do a drive by and look at the property. Then if I like it I’ll simply knock on the door and talk to the person and if they’re not their I leave a letter with my contact information. So far I’ve acquired 5 total properties this way in 2 years. All of them were under 10k and the property taxes, insurance, utilities, maintenance, property manager, rehab, upgrades, services etc. was all paid by tenants plus I made on average 2K after expense since I added on 2-4 more rooms to each property. I’m still shocked nobody in my county and knows about this. I’m now starting to branch out into other more effluent counties and eventually I will start acquiring apartments. All houses and taxes are paid off and I have sufficient passive income to not only cover my lifestyle but I have extra to invest into my business, stocks, bitcoin, travel etc. That’s awesome Travis! Thanks so much for sharing. I know, it still surprises me too. Seems like everyone and their mother would know about this and be using it liberally by now, but it’s really not the case in the areas where I’ve worked (not complaining, of course). I’m glad to hear you’ve been able to make it work for you. Keep at it! From peoples experience, about what percent of counties offer free lists and what seems to be the average price for those that charge? Just from my limited contacts with various counties, they are all asking $100 for the list, which is mailed on a CD. My neighbor been a home own by her decease uncle for over 20 plus years. And the property taxes are over 350000 dollars. And not in her name. And the State of Texas has not put a Leon on it.